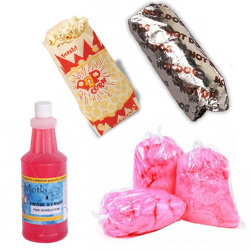 Mission Restaurant Supply offers a wide selection of quality concession stand equipment and concession supplies including everything for making and vending cotton candy, hot dogs, snow cones, popcorn, nachos and more. 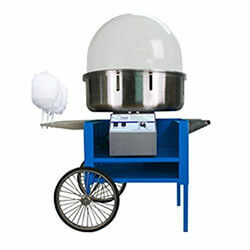 MissionRS offers hot dog carts and snow cone carts for mobile concession vending, whether in the park or at the stadium. 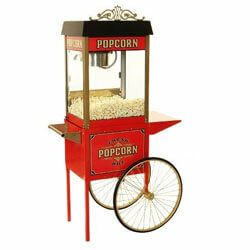 Our sturdy and durable popcorn machines are great for bars, pubs, lobby areas and even break rooms. 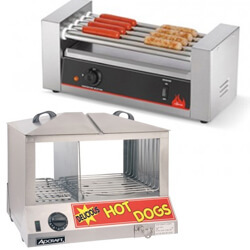 Hot dog roller grills, hot dog steamers, and hot dog merchandisers are a great way for convenience stores to entice customers for an additional profit stream. Check out Mission Restaurant Supply’s hot dog supplies and selection of nacho supplies, including chip warmers and nacho cheese warmers, to outfit your ball park concession stand or festival food booth. Compliment your concession stand equipment with condiment servers and dispensers. Offer ketchup and mustard toppings for hot dogs and hamburgers with our condiment dispensers. We sell cotton candy floss for use with your commercial cotton candy machine and popcorn kernels to get popping with your popcorn popper. 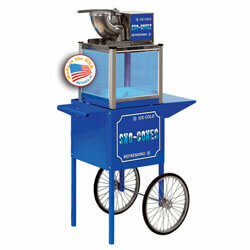 Buy your concession equipment and supplies for wholesale prices today at MissionRS.com.